In the United States, feature films are given ratings by the Motion Picture Association of America as a means to prohibit members of certain age brackets from exposure to mature content. The R rating in particular is meant to prevent anyone under the age of 17 from gaining admission to a film that’s been deemed either too violent and/or sexual for their age. Thanks to home video, I had seen plenty of R-rated films before I turned seventeen, but once I did, damned if I didn’t go straight to the theatre to enjoy some hassle-free Restricted film viewing. The first R-rated film I ever saw in theatres was director Martin Scorsese’s GANGS OF NEW YORK (2002). The subject matter and historical period attracted me more to the film than the authorship of its director—indeed up until then, I had only been tangentially aware of Scorsese’s influence on the medium. Nevertheless, it was one of the most visceral filmgoing experiences of my young life, and I became acutely aware I was in the hands of a master filmmaker. In many ways, it was the beginning of my filmic literacy and education. As of this writing, Scorsese is currently 72 years old, and shows no signs of slowing down or retiring. He belongs to the Film Brat generation of filmmakers, amongst contemporaries like Francis Ford Coppola, Brian DePalma, and Steven Spielberg. Theirs was the earliest generation to attend and graduate from dedicated film schools like New York University or University of Southern California, and as such, the first generation to truly bring the idea of “community” to filmmaking. The 1970’s and 80’s were heady days for Scorsese’s generation of filmmakers, with their overlapping social circles causing them to feed off of each other’s creative energies and funnel it into a collective stylistic movement we now call New Hollywood. In the decades since, Scorsese has emerged as something of a national treasure—he’s not only one of the most significant and influential filmmakers in American history, but he’s also one of its most prolific producers as well. Scorsese’s body of work largely deals with stories about the Italian-American experience, Roman Catholic concepts of sin and redemption, modern masculinity, and organized crime. He was instrumental in the development of modern cinema, popularizing many of its core conceits like dynamic camera movement, fast-paced editing, and laying popular music into the soundtrack. His depictions of the Italian American experience in his native New York City is rivaled in influence only by Woody Allen’s documentation of the Jewish experience. Younger filmmakers like Spike Lee, James Gray, and even Lena Dunham have followed his example in using the city as a prism with which to focus on certain subcultures (the African-American, Polish/Eastern European, and Millennial/hipster cultures, respectively). Scorsese is also one of the most decorated filmmakers of our time—he has the most Oscar nominations for Best Director (eight, with one win) of any living director. When considering the total nominations of ALL directors living or dead, he comes in second only to William Wyler, an honor he shares with Billy Wilder. 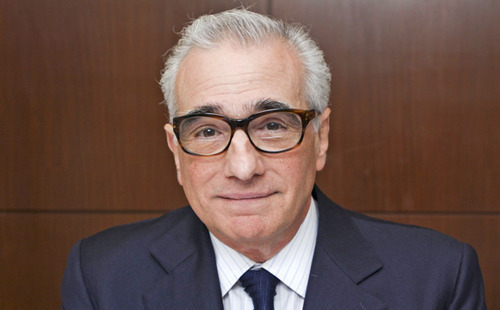 “Marty” Scorsese was born November 17th, 1942 in Queens, New York to Charles and Catherine Scorsese. Both parents worked in the Garment District in addition to being actors. They were emigrants from the Italian island of Sicily, which meant that Scorsese was a first generation American, and thus better positioned than his parents to pursue the American Dream as he saw fit—a quest that would become a key theme in his body of work. Having moved to Manhattan’s Little Italy shortly before attending school, Scorsese grew up as a sickly child—his severe asthma prevented him from playing sports, so he would go to the movies instead. 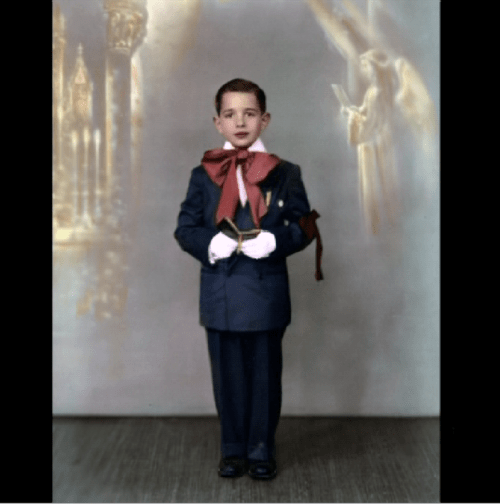 The Scorsese household was strictly Roman Catholic, and little Marty had initially planned on becoming a priest when he grew up. After taking in a screening of Michael Powell and Emeric Pressburger’sBLACK NARCISSUS one day in 1947, however, he found himself bit by the film bug. Hard. He began mainlining a steady diet of films—mostly historical epics and the Italian neorealism of Ingmar Bergman and Federico Fellini. Films likeBICYCLE THIEVES (1948) and ROME OPEN CITY (1945) gave Scorsese a deeper appreciation of his Italian heritage, but the idea of pursuing filmmaking as a career didn’t occur to him until independent director John Cassavetes released his self-financed debut feature, FACES, in 1959—a flashpoint event that forever dispelled any excuse an aspiring director had for not actively making his or her movie. That same year, Scorsese followed Cassavetes’ example and made his first short film, VESUVIUS VI. Like the historical epics he loved growing up, the film was set in Ancient Rome and drew inspiration from the then-popular television series 77 SUNSET STRIP. For whatever reason, VESUVIUS VI is unfortunately unavailable for public viewing, but it was enough to land the academically challenged Scorsese a spot in New York University’s class of 1964. From 1960-1964, Scorsese worked towards a bachelor’s degree in English while making two short films that would serve as his first true experimentations with the art form and help solidify his aesthetic. The ideas and practices of the French New Wave can be felt heavily throughout Scorsese’s earliest publicly available work,WHAT’S A NICE GIRL LIKE YOU DOING IN A PLACE LIKE THIS? The short is about an anxious writer who becomes so entranced by a particular photograph that it gives him terrible writers block. He meets and marries a young bohemian girl whose carefree ways release him from his internal struggles—that is until her art begins to take a crippling hold on him as well. Scorsese tells a very fractured narrative, switching between subjective first person perspective to documentary-style testimonials and various non sequiturs with reckless abandon. Shooting in black and white, Scorsese wields his handheld camera with a dynamic, exaggerated sense of reality that’s almost cartoon-like in nature. His compositions and lighting setups are bold, confident, and very impressionistic- indeed, the influence of Fellini and his distinctly magical style is felt in every frame. WHATS A NICE GIRL LIKE YOU DOING IN A PLACE LIKE THIS? closes with the line, “Life is fraught with peril”—an interesting conclusion that feels very prescient when we consider the films yet to come from the young Scorsese. The next year, Scorsese made his third work, titled IT’S JUST NOT YOU, MURRAY! It starred Ira Robin as the titular Murray, Sam DeFazio as his buddy Joe, and Andrea Martin as Murray’s aloof wife. Catherine Scorsese even appears, beginning a long tradition of making cameos in her son’s work. The short follows the black and white, French New wave conceits of its predecessor, going a step farther by exposing its artificiality as a film by acknowledging the presence of a sound man. The film is mostly comedic, but it introduces several ideas that Scorsese would incorporate into his dramatic aesthetic. Examples include weaving the story specifically into the fabric of New York City and the depiction of violence in a hard-hitting, messy, and realistic manner. IT’S NOT JUST YOU, MURRAY! also sees the first appearance of a common trope within Scorsese’s work—the introduction of the love interest (in this instance, Andrea Martin) as a blonde in a white dress. It’s not that Scorsese just has a thing for blondes—the frequent appearance of this scene throughout his body of work can be traced back to his Roman Catholic background and the dogma that gave birth to the madonna/whore complex that drives his films’ sexual conflicts. As a whole, IT’S NOT JUST YOU, MURRAY! is the first of Scorsese’s works to follow his signature narrative framework: a man hailing from an immigrant family (usually Italian) and living in New York City gets involved in shady dealings with a business partner, becomes rich, marries above his social caste, and achieves the American Dream only to lose it all to hubris and ego. The titular Murray of this short film introduces himself by saying he wants to learn how to live A Good Life—it’s the pursuit of “The Good Life” that Scorsese’s films are all about, and his characters are determined to get it by any means necessary. Scorsese graduated from New York University’s undergraduate program in 1964, and then went right back in to earn an MFA in Film. He finished in 1966, the same year he made NEW YORK CITY…MELTING POINT, a film about which little is known other than the fact that it’s a documentary. My guess is that it was Scorsese’s master’s thesis film, but until it is publicly available, we’ll never know for sure. Thankfully, however, we have the above short films to show us that his aesthetic was already highly developed, thanks to a firm command of the craft that he’d cultivated from a childhood spent in the movie theatre. They prove, without a shadow of a doubt, Martin Scorsese was a natural born filmmaker from the very start. WHAT’S A NICE GIRL LIKE YOU DOING IN A PLACE LIKE THIS? And IT’S JUST NOT YOU, MURRAY! are currently available on Youtube via the embeds above.